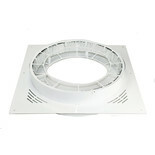 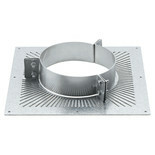 This adjustable Wall band is used to provide lateral support for a vertical flue, giving between 50mm -100mm clearance from a non-combustable wall. 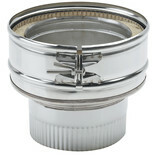 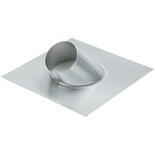 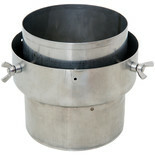 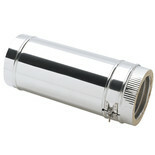 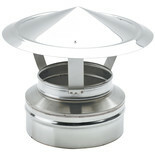 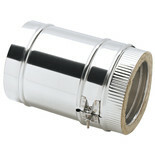 Chimney adapter for connecting stove pipe to a flexible flue liner. 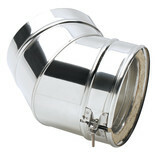 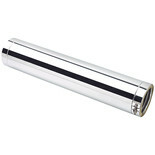 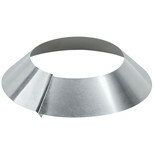 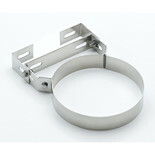 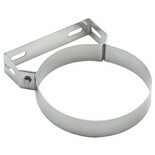 This Wall band is used to provide lateral support for a vertical flue, giving 50mm clearance from a non-combustable wall.